In the small Swiss town of Zermatt live some unusual siblings. These three brothers, each a phenomenon in his own right, have become big names in the mountaineering world. Simon, Martin and Samuel – each with his own style and discipline – have gained huge recognition on the world stage. We meet the Anthamatten brothers. “ Our parents aren't that into mountaineering, but when we were children they took me, my brothers and my sister hiking at the weekends. Although the walks weren't that long, they were big days out”, remembers Samuel, the youngest of the Antamatten brothers. 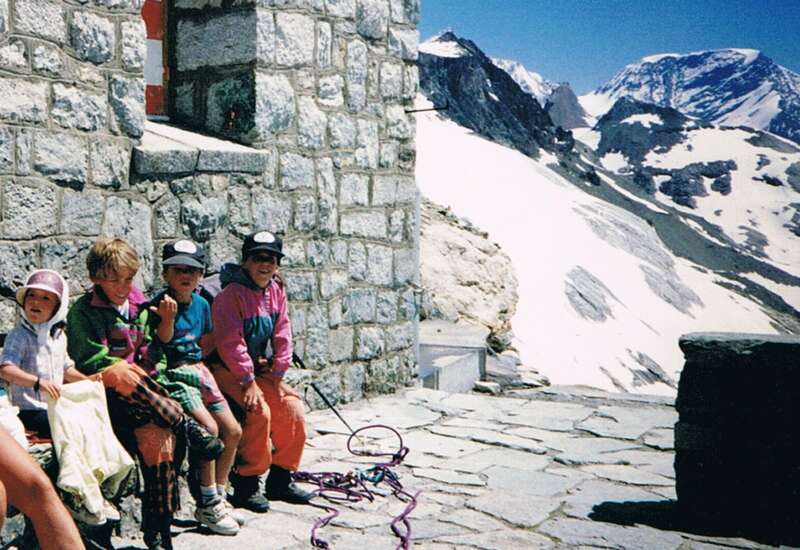 Even the child-friendly hikes in Zermatt are long. The memories never left them; and nor did their love of the mountains; mountains that they can still see from their balcony, garden and bedroom today. The most special peak of all, the Matterhorn, not only forms part of this view; it is also a chapter in their life story. Having avoided the Matterhorn for many years because it is so popular (there are around 3,000 ascents per year), the brothers were eventually drawn to it. On its north face, Simon and Samuel opened up a route which was named after them. A few years later, Samuel skied down its east face. 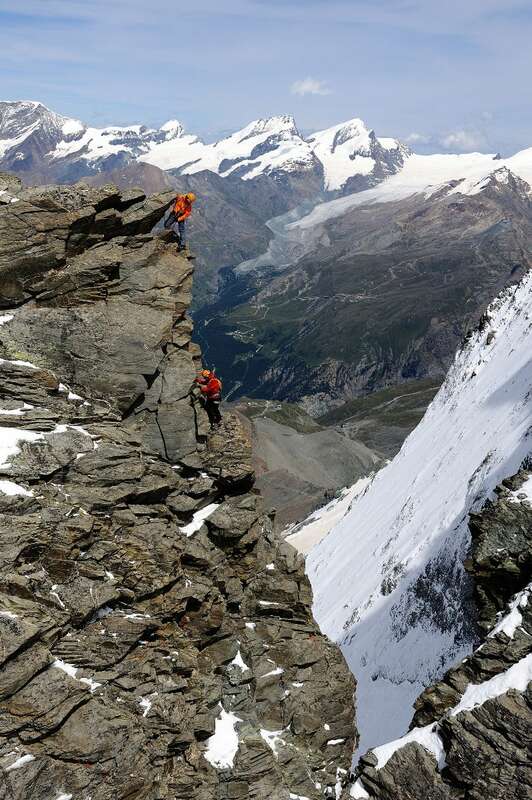 Martin was the third to climb it, ascending it for the first time two years ago as part of a festival that celebrates this famous mountain, “ all three of us were on Matterhorn at the same time, in different rope teams. It is one of my favourite memories with my brothers in the mountains”. At 33, Simon is the oldest sibling in the family. As a young boy, he was intrigued by the climbers trying out routes on the cliff behind the family home. Eventually he challenged himself to start climbing rocks too. But he couldn't climb on his own. Simon needed someone to help. 30-year-old Samuel, the youngest, remembers: “ He needed somebody to belay him and I was the idiot who ended up holding the rope! That's how it all began. ” Simon's journey later led him to the ice climbing world cup. He won this title in 2008. He then climbed some of the highest peaks in the world (El Capitan – USA, Cerro Torre, Fitz Roy – Patagonia, Mount Hunter – Alaska, Bhagirathi 3 – India, Jasemba – Nepal). He went either alone or accompanied by his brother Samuel, or other well-known mountaineers such as his fellow countryman Ueli Steck. Together the two men climbed the north face of Tengkangpoche (Nepal), among others. 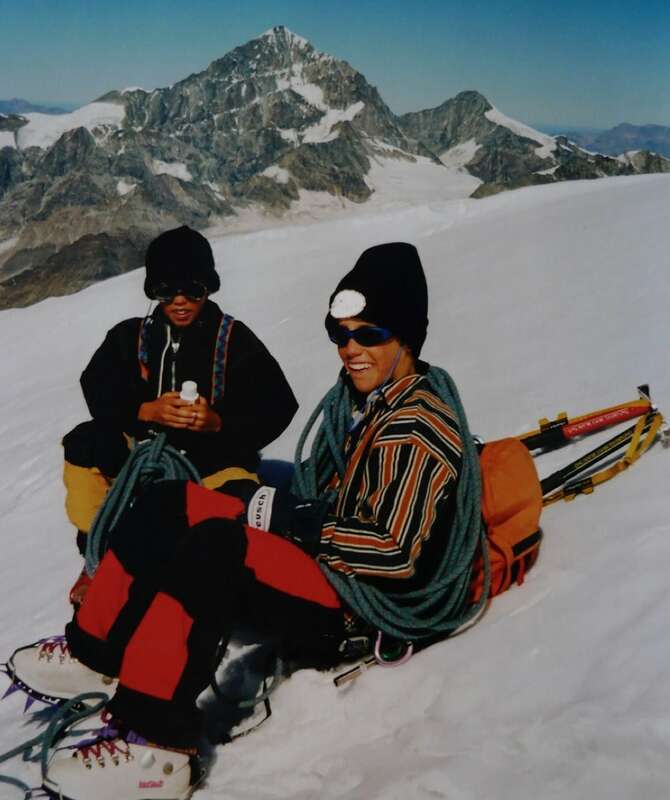 This ascent earned them a Piolet d'Or, the highest award in the field, in 2009. Samuel, the first person to hold the rope for Simon, followed a similar route. Having scaled the world's ice waterfalls and won an event aged 16, he turned his attention to snow-covered slopes and began freeride skiing. From his very first season he set himself apart by coming second. 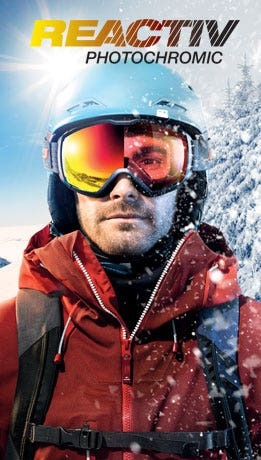 Martin (32) has also spent most of his life in the mountains. He's the the middle brother and specialises in ski mountaineering. 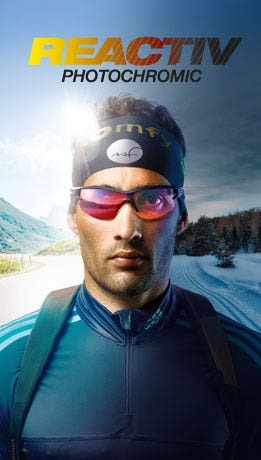 He has won many world titles plus a victory in the Patrouille des Glaciers, the famous Swiss competition that is known for being one of the hardest in the world. Last summer he was also the overall winner of the SkyRace, the XXL trail version. Although the brothers chose different careers, they are all passionate about the mountains. They are committed to sharing this passion through their work as high-altitude guides. There is no rivalry between them; theirs is a relationship of sharing and exchanging. “ We are very open with each other. We all push each other in the right direction,” reveals Martin. “This helps us a lot. Each brother has his own qualities and strengths in the mountains. These benefit the two others."